Use this atlas to accurately interpret images of musculoskeletal disorders! 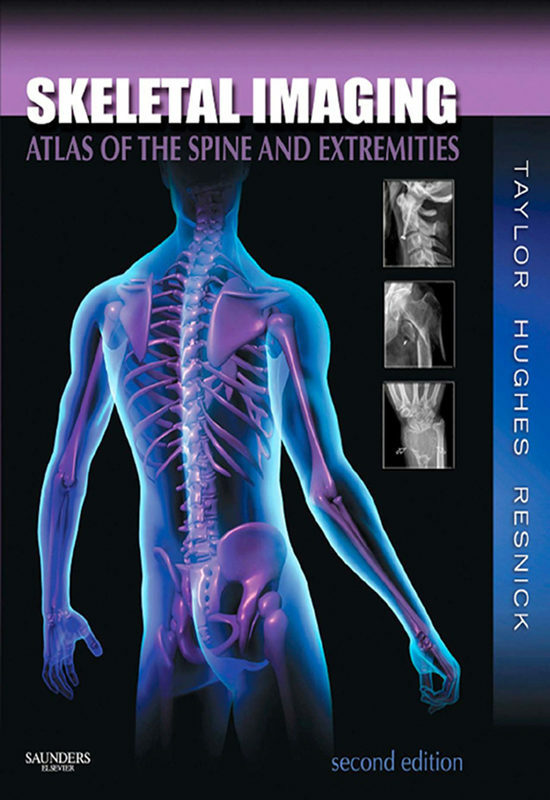 Taylor, Hughes, and Resnick’s Skeletal Imaging: Atlas of the Spine and Extremities, 2nd Edition covers each anatomic region separately, so common disorders are shown within the context of each region. This allows you to examine and compare images for a variety of different disorders. A separate chapter is devoted to each body region, with coverage of normal developmental anatomy, developmental anomalies and normal variations, and how to avoid a misdiagnosis by differentiating between disorders that appear to be similar. All of the most frequently encountered musculoskeletal conditions are included, from physical injuries to tumors to infectious diseases.Over 2,100 images include radiographs, radionuclide studies, CT scans, and MR images, illustrating pathologies and comparing them with other disorders in the same region. Organization by anatomic region addresses common afflictions for each region in separate chapters, so you can see how a particular region looks when affected by one condition as compared to its appearance with other conditions. Coverage of each body region includes normal developmental anatomy, fractures, deformities, dislocations, infections, hematologic disorders, and more. Normal Developmental Anatomy sections open each chapter, describing important developmental landmarks in various regions of the body from birth to skeletal maturity. Practical tables provide a quick reference to essential information, including normal developmental anatomic milestones, developmental anomalies, common presentations and symptoms of diseases, and much more. 400 new and replacement images are added to the book, showing a wider variety of pathologies. More MR imaging is added to each chapter. Up-to-date research includes the latest on scientific advances in imaging. References are completely updated with new information and evidence. .